ZJ likes the biscuit and he looked so serious when eating it! I love to see him eating it. After lots of munching, I left Beanie with LZdaddy, took a walk around with godma and LZ. 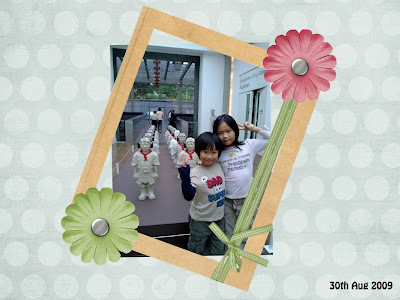 Frankly, I can't remember when was the last time I have been there or have I ever been to the museum? LZ clearly remembered when was the last time they've been here (holiday camp in June) and showed me around. They were my tour guide! Today is a day that all of of us look forward to! We have not been inside the school for a long time and I thought there won't be any open house this year due to H1N1. Z was definitely very excited about it, he told LZdaddy "Daddy, make sure you don't have to work this Saturday ok! You have to come to my school to see my work." He need not tell me anything, coz he knows I will be there. *proud mommy* I won't want to miss out anything that concern my kids. 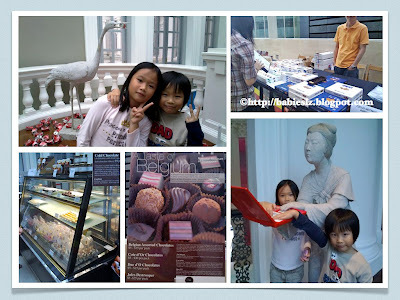 Few days ago, he mentioned his teacher told him to bring some muffins for the open house. I said "Huh? Why? Did she ask others to bring food too?" He said the others were not told and he has no idea why and insisted that I bake some for today but I did not. Hmmmm... I was extremely tired lately coz Beanie has been waking up often in the night. Anyway, I thought he probably misunderstood the teacher, it could be the teacher told him to bring it for Teacher's Day. When we were there, I don't see anyone brought food. Back to the Open House. As soon as we arrived at his classroom, he showed us where his work was displayed. LZdaddy came in slightly later coz he needed to park the car and he showed him his work again. 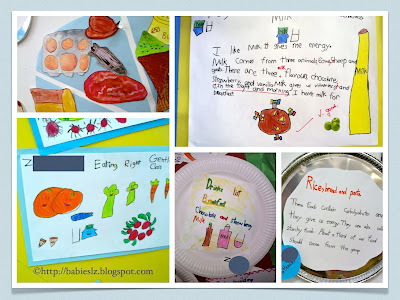 We also looked through his workbook and I was impressed with the work he did! 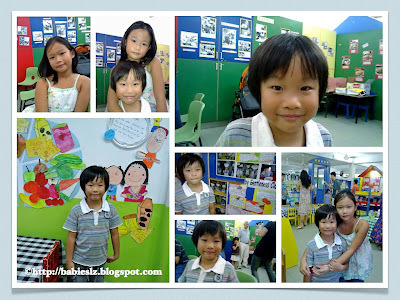 He did lots of creative writing, compared to L 2 years ago. Btw, they have the same teachers and use the same classroom. We talked to his teachers about his performance. His main Teacher told us he was impressed with Z's reading skills. She told us that was what she noticed about him since beginning of the year. She also said Z is a very quiet boy, obedient, able to write well and doesn't ask question. Hmmm.... That I am concern... This is not good when he goes to P1. He needs to voice out when he is not sure. Looks like I need to encourage him to speak up more often. Then when I talked to the Principal, she said Z's reading skill is not that good but she does agree that Z is a very good boy. I chose to agree with his main teacher about his reading skill not because she said better things about my boy but I have faith and am very sure about his reading skill. We spoke to his Chinese teacher too. She said Z tends to speak to his own group of friends only (he know them since K1) most of the time. To encourage him to mix around with others, she changed their seats so that he mix around with others and it worked out well. I appreciate the teacher's efforts. Look through his Chinese file and not too bad but we still have to put in effort to make it better. Overall, we are happy with his performance. We just have to put in efforts in his weakness and prepare him for P1 next year. He is very happy to sit up in the bathtub for the first time! He looks very relax right? Beanie enjoys his teething biscuit. Having it while Z & I have our lunch. He was the one moving the chair back & forth, he placed his feet on table side to do that. Please excuse the noise behind the scene, my helper trying to tear down my house! He tries to tuck in his knees to crawl position. I think always post pics or videos of Beanie smiling, laughing or having fun.. This time, decided to post a video of him grouchy. He just had his dinner and didn't want to sit in the seat anymore and wanted me to bf him so he can sleep. But I was still having my dinner so he had to stay there for a while. Oh! Can you spot his baby tooth? He was doing well till lately he started teething. Appetite went down and have to start solid slightly earlier coz his weight gain has been my concern (not gaining enough at 1 month old) . I remembered Doc telling me to watch his weight gain. I'm glad I do that coz he enjoys his solids and he eats FAST! If I'm slow, he will 'grumble'. Hehehe.... He eats whatever I prepared for him and any fruits that I give, that's makes my life so easy and I enjoy feeding him. He usually has his meal in the evening, that is when LZdaddy is back home and all of us have our meal together. I like it this way, family bonding time. I think he eats quite a big portion for his age, I should have take a pic of his meal portion. He always must have his milk feed after his meal and sometimes before too. - having solids once a day ( in the evening) and a serving of fruit. I will increase it to 2 times after a month of solids. 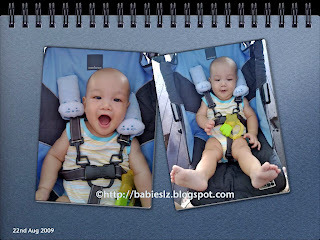 - I'm still breastfeeding him and lately wakes up a few times in the night for feed! He has been sleeping through the night before this. - He loves looking at the fan moving! Whenever I need to change his diaper or get him to stay still, I just have to turn on the fan. He smiles when he sees it moving. - He doesn't want to lie down on the bathtub (on the board), think I will have to do without it soon. - He is able to sit for abt 11 secs unaided. Yup! We timed him! LZ & I were counting how long he can sit on his own. So fun! - He moves backwards when we place him on his tummy. We have to watch him closely coz he moves out of the mat quite fast. - He pulls his bumpers (in his cot) off all the time so that he can see us. - He enjoys reading time and for now his fav book is the farm animal with sound. - showing less interest in TV programmes which is a good thing. He is more interested in looking at things around him and what are we up too. - He giggles when 哥哥 say "Z baby! Smile smile for gorgor and I am your biggest fan!" & he loves looking at 姐姐, his eyes follows her wherever she walks to. Just realised I wrote quite a long update! And I thought I don't have much to update on his 6 months or maybe I am too naggy! In the box: Sausages, char siew pau, sliced peaches and crackers. 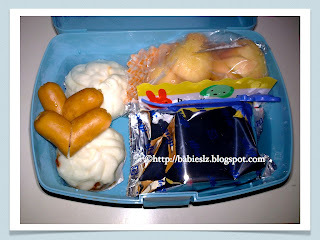 I think this was one of the worst bento that I prepared for L coz I didn't have time at all! Beanie woke up when I was about to prepare it. 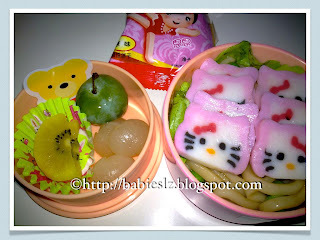 In the bento: Sliced kiwi, mini plum & longan, biscuits, fried udon with peas & HK shaped fishcake. It has been a long time since I bought the HK fishcake for her and L was happy to see this in her bento again... It was easy to prepare today's bento but had to rush again coz ZJ woke up while I was cooking. 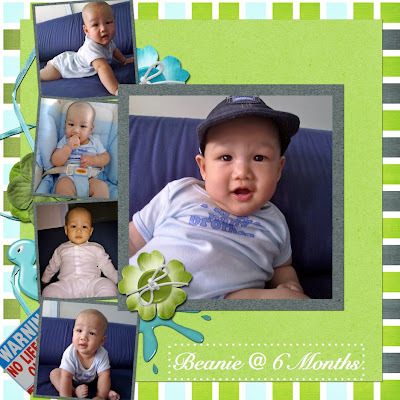 Seems like I won't be able to do more stuffs for L's bento till he is able to wait for his milk (when he is older). We spend lots of time waiting for 姐姐 and 哥哥. 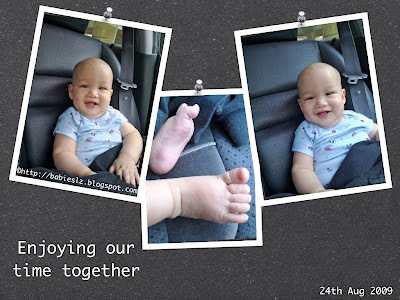 When he was a newborn, I can't put him in the car seat too long coz he will cry so once I stop the car, I will have to carry him. Now at 6 months (tomorrow he will be 6 months old! ), I can put him on 哥哥 booster seat. While he is enjoying sitting in the booster seat, I will play children song and he sees me making myself silly singing the song to him. Sometimes he wants me to breastfeed him instead. I enjoy these moments with him! 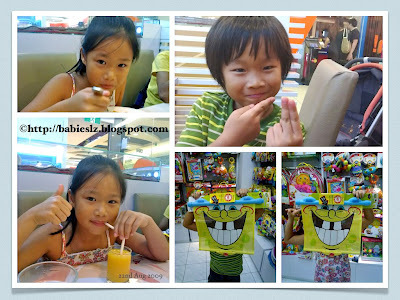 After meeting Angie (to collect the book), we went to look for Z's white shirt for his graduation and had dinner at Bugis. The place was packed! 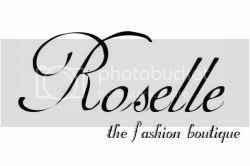 It was tough looking for a restaurant that is spacious and that can accommodate the pram. I was glad that I fed Beanie at the nursing room. Dinner was good but can't remember the name of the restaurant. This was Beanie first time sitting on a high-chair when we are out having our meal. He still not stable but we had to put him there coz he refused to sit in his pram. I think he is so used to on the same level as us while we have our meal (like at home). 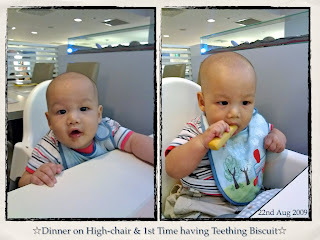 He is quite restless, watching us eating our meal, so I gave him his teething biscuit for the first time. He likes it! Before the meetup, I showed LZ Angie's blog and briefly told them about the meetup. 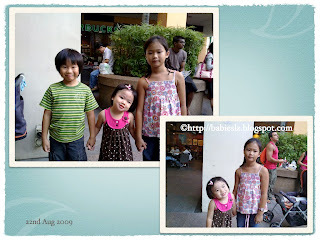 When we were at the mall, LZ helped me kept a lookout for them. 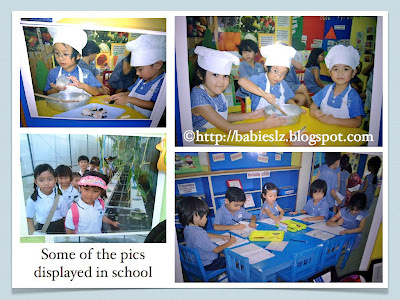 Like what Angie said, it was easy to identify each other coz our blogs are filled with kids pics. It took Jaimie & LZ a short time to warm up to each other, and soon they were playing catching while we chatted. Angie, it was great meeting you and hope we will meet up again. I read your book while we were having dinner and I can't put it down coz I truly enjoy reading it! It is funny and touching! 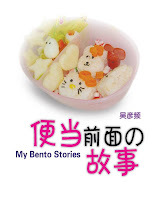 Each of her bento tells a story. So dear readers, do get a copy of Angie book from the book store! Btw, I am not paid to advertise for her. It is a book that is worth reading and I want to share with all of you. 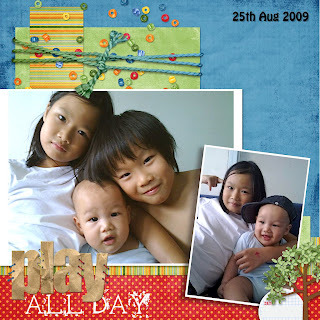 姐姐 loves his baby brother very much. Whenever I pick her up from school, she greets her brother first, not me ok. She talks to her friends about her baby brother all the time and when they see him, they seem to know many things about him. 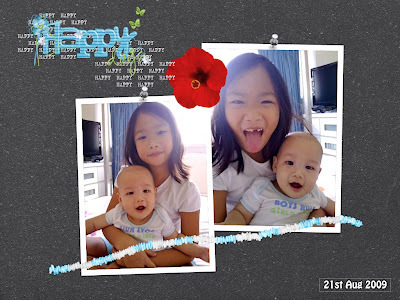 She beams with pride when her friends say "your baby brother so CUTE! ".